Hiya, oooh I hope you're enjoying your weekend I love mine. Yesterday was Sheila's Happy Birthday and I was nervous making her card, she is such a talented crafter her colouring is unbelievable but that's not what made me most nervous the fact that her fave colours pastel did. I love seeing them used but using them just doesn't came naturally to me. Still I set to work and made her this one here. 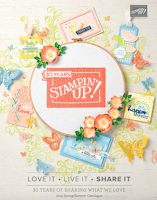 I worked with Pale Plum, Pretty in Pink and some of that beautiful bride's speciality papers. I adore this paper is wonderful. 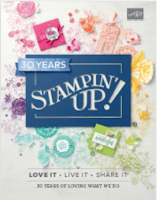 The stamp is from the Bloomin with Beauty set and it has been coloured using an aquabrush and Stampin'Up! ink pads. Satin ribbon a lovely frame from the styled Hodgepodge kit and a lacy border made with the eyelet border punch(from Stampin'Up! )completes the look. I am pleased with how it came out even though you will noticed my colouring is not very pastel friendly I had to go a bit stronger ooops. So my lovely Sheila I hope you had a wonderful day and I hope you liked the card. I very rarely watch TV but over the last 2 weeks I have seen two rather good movies on SKY, Seven Pounds ( to which I cried at the end ) and on Thursday night I watched Grand Torino and cried to that as well. 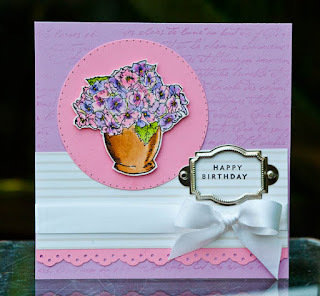 Beautiful card Monica, I love the soft pastel look and you've done a great job! Oh my goodness, this is just beautiful!!!! This card is totally gorgeous Monica, so cheery too. Love your card Monica, you've done a fine job and I bet Sheila loved it. The colour combo is beautiful! Hey..Just Thought Id Pop By And Say You Have A Great Blog Here!! Keep Up The Good Work Hun! !